Badger’s Rob Watts was at the Autosport International Show, and sat down with former McLaren mechanic and current Sky F1 pundit Marc Priestley to talk through some of the major talking points in Formula One. Rob Watts: Without a doubt, the biggest news story of the winter is Nico Rosberg’s retirement. I didn’t see that coming. What was your take on it? Mark Priestley: I had an exclusive interview with him the day before [he announced his retirement] and he was the most relaxed I’ve ever seen him. He was in great spirits, and we chatted for half an hour which was way more than we had booked out. He answered all of my questions in a very open and honest manner – apart from those about 2017. I asked him what number he was going to have and whether it was going to be the number one and he said ‘Oh I don’t want to talk about that, I haven’t even thought that far ahead – I just want to concentrate on the moment’. At the time, of course, you think that’s fine and completely understandable. Even though there were clues in hindsight, none of them had triggered. Even the Mercedes team had no idea, so that tells you what a closely guarded secret it was. I have to say I have respect for his decision. Having got to know him a bit better during that half an hour, I have a lot of respect for what he’s achieved and what he’s gone through to achieve it. 2016 took everything he had – he literally gave it everything. He sacrificed a lot at home and took a different approach in terms of his preparation and focus, and he literally had nothing left by the time he had got to Sunday night in Abu Dhabi. He was completely spent, and you could see that. So I have a total respect that he didn’t want to go through that again and again when yes, he might have got two or three titles, but he didn’t need that. He wanted to become World Champion, and he’s done it. There’s a lot of benefits obviously to being a Formula One driver, but why sacrifice so much of the rest of his life that he sees as so important when he’s already ticked the thing off his list that he wanted the most? RW: We saw a mental toughness from Nico last year, that we’ve perhaps not seen from him before. Do you agree that Austin 2015 (cap-gate) was a turning point in his career? MP: He told me that he’d spent two or three days after [Austin 2015] feeling distraught with himself, and then he said he picked himself up, went for a run, and said that he never wanted to feel like that again. So that was definitely a turning point for him. I think you’re right – it’s his focus that has changed, and that was the difference – obviously there were some mechanical issues that you could debate all day long for Lewis, but at certain parts of this year, he was not as mentally focused as Nico was. I don’t think even Lewis could argue with that. When you’re trying to win a Formula One race or a championship, everything has got to be right – it’s not an easy thing to do. Nico took advantage of every opportunity because he was so focused. When those opportunities came along, he didn’t put a foot wrong, and that’s what has won him the title. RW: It was quite frustrating to see just how shut off Nico became at times last season, but we now know he was using a mind coach to help him focus one race at a time. What role do you think that played? MP: Some people see it as a weakness, and Lewis has alluded to that by saying that he doesn’t need one. He’s almost trying to put it down as their rivalry continues even after Nico’s retired. I don’t see that as a weakness, though. I see that as trying to hone every single part of your armoury, trying to maximise everything thing you’ve got. The mental focus and mental toughness needed in any top sport is a huge part of it; a part that a lot of people do overlook. If you get it wrong, no matter how fit or how talented you are, it can trip you over. A number of drivers that I’ve worked with have used mind coaches, psychotherapists or whatever you want to call them. For some of them, it really works, while for others it doesn’t, but I don’t think you can criticise it. That was a clear example of Nico looking for any advantage, no matter how small it may be – and it’s been justified as he’s won the title. RW: You worked with Lewis yourself back in 2007-08. What is it about him that makes him such a difficult teammate to have? MP: “His raw pace is at the heart of it. I remember back in his rookie year in 2007 his teammate was the world champion, Fernando Alonso. A big part of the problems we had back then could be traced back to the fact that Lewis was just so quick. Nobody expected him to be that fast, especially Fernando Alonso! He thought he’d be the clear number one, but Lewis’ pace was the trigger, and then of course on top of that, once he’s got an opponent riled or on the ropes, he does have a knack of going for the jugular. You can’t criticise that either, it’s just his way of going about top level motorsport, or any sport in fact. Nico Rosberg perhaps doesn’t have that, so he approaches things in a different way, but I think that’s one of Lewis’s strengths; he gets under the skin of his opponents and grinds them down to the point where they lose their focus. Nico this year managed to not let any of that affect him, and that’s credit to Nico. You have to look at Formula One drivers and remember they are just humans, and it’s easy to just label them all as Formula One drivers, but they’re not – they’re all different people. When they come under pressure or come up against a difficult opponent, they all handle it differently. It’s one of the things I love about the human side of Formula One – you can’t just apply one rule to them all, and that’s why we find that we get behind one driver over another. It’s not just because they’re quick, it’s because of their personality, how they handle media, the fans, and their teammates. All those elements go into becoming a world champion, and not all those elements are the same for each driver. RW: How do you think Valtteri Bottas will cope with the pressure he’ll find in that seat alongside Lewis? MP: “He’s pretty quick and I don’t believe we’ve seen the best of him. 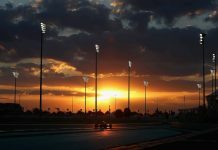 When he was brought into the sport by Frank Williams, Frank said he was one of the best drivers he’d ever worked with – and that’s a big deal coming from Frank Williams. One thing I’d say having worked with Mika Hakkinen and Kimi Raikkonen, they both had a very Finnish attitude which is to be very quiet, but what struck me about them both is the politics. They don’t get involved in politics. They don’t tend to let that side if things rile them. Kimi is a perfect example; he has no ego, and he’s never had one. So, the fact that someone like Lewis might try the games and let him know whose boss, I’m not sure that’s going to affect Valtteri. The only thing he’ll care about is being quick in the car, and not so much about any in-fighting or politics that might occur between the two. It’s a nice dynamic to have and certainly an easier one to manage from the team’s point of view. RW: Valtteri’s departure puts Williams in a tricky situation, and they appear to see Felipe Massa as the solution. Do you think that’s the wrong move? MP: It’s a strange one. Lots of people reading this will think it’s a really disappointing way to approach it from Williams’ point of view. They’ve got so many young drivers nipping at their heels, trying to get into Formula One, yet they’ve taken someone who decided he doesn’t want to be in the sport anymore. From that point of view, I get it. But also from the team’s point of view, we’ve got a huge regulation change this year, and their other driver is a kid who has never raced in Formula One before. He may be quick, but he’s got no experience so you can see why they might want an experienced head in the other car. I totally understand that. They know what they’re going to get with Felipe – he knows the team and how it works, and he’ll be a great person for Lance Stroll to learn from. There was a very strong rumour that Felipe was going to sign for a Formula E team for next year, and he’s now pulled out of that contract. I have mixed emotions on that one. I see why the team have had to do it, but I can also understand why a lot of fans may be disappointed with that kind of decision. RW: What about Pascal Wehrlein? He seems to be the big loser in this situation, having seemingly been turned down by Mercedes, Williams, and Force India, and ending up at Sauber. MP: Things like that really are a test of a driver. If you look at somebody like Carlos Sainz for example, who was equally overlooked at Red Bull team, or Daniil Kvyat, who had a more extreme version where he was bumped back down – the measure of a driver and a man like that is how you deal with the disappointment. Now he’s ended up at Sauber, he has to put all of that to one side and take the view that he’s in Formula One. He’s in a team that undoubtedly will improve because they’ve got some good investment and some good people coming on board. They’re in a pretty good place from where they were, so he’s got an opportunity that hundreds of drivers would love to have, and he’s got to take that and show people what he can do. He’ll be judged against his teammate next year, as you always are, but he’s got to dominate him and then he’ll be looked upon favourably again. These things do hurt you, whether you’re an F1 driver or a guy working in an office. If the guy sat next you gets a promotion, you’ll always ask yourself why? What have I done wrong, or why am I not as good as him? Particularly with the decision that Force India took, which I think was more based on personality over and above just race results, and that will hurt a little bit as well. Force India didn’t want Pascal Wehrlein – not because he wasn’t quick enough, but because they preferred to work with Esteban Ocon. It will be interesting to see how he handles it, for sure. RW: His career is definitely at a turning point now, and issues like the one he had in Austin this year won’t have helped his cause. 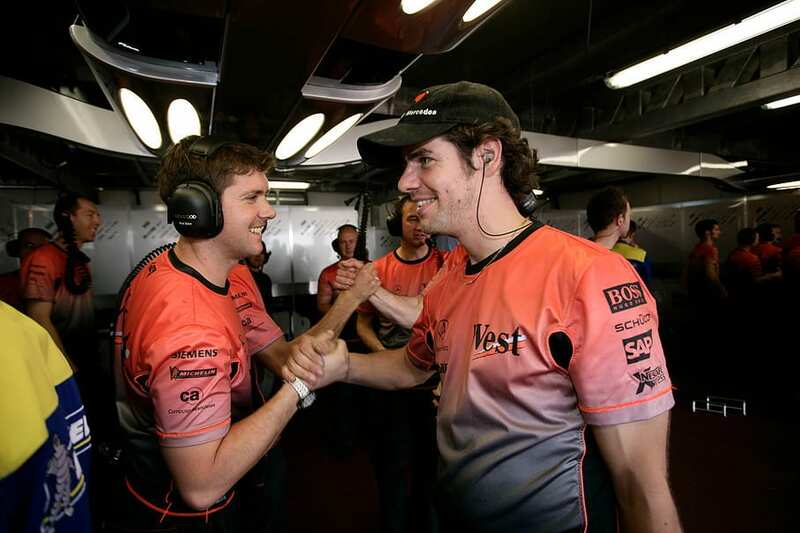 MP: Also, Force India, don’t forget, had worked with both of those guys before, and they have a close relationship with Mercedes also. People talk in the Formula One paddock all the time – not always in an official capacity, but sometimes you’ll get engineers from one team talking to engineers from another, and it’s pretty easy to build an accurate picture of a driver just by talking to someone who works with him on a daily basis. It has the potential to affect Wehrlein in a negative sense, but it’s up to him as to whether he lets it. RW: As well as some key drivers moves, there’s been some changes on the pit wall too. Your old boss at McLaren has moved on – what do you make of that? MP: It’s a difficult one. I worked for Ron for nearly ten years. At times I hated working for him – he’s an utter pain in the arse to work for, but I genuinely have nothing but respect for him and for what he’s built up at McLaren. The one thing I would say is that there is no one in this world who will be as passionate about seeing McLaren succeed as Ron. So it’s a loss to lose that from your organisation. On the flip side, Ron’s a unique character and as much as he’s a genius and a visionary in a business sense, he’s also his own worst enemy. He’s lost friends down the years, some significant friends in the paddock, because of his manner and the way he goes about doing things. 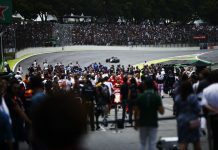 Ultimately, by falling out with people who are serious players in the Formula One world, particularly his own fellow shareholders, he lost control of the company. He sold the shares in McLaren with the intention to bring in investment and send McLaren in the right direction, and in many ways, that’s been brilliant for the company, but in doing so he lost his own ultimate control over it, and I think that’s something he needed to have. Formula One’s a weird world in which dictatorships absolutely work and are probably the best way to go about running a Formula One team, and Ron’s been a good example of that. Bernie Ecclestone has been successful in what he does because he’s in total control and when big corporations get involved and control spreads to a large number of people, often it becomes more complicated and doesn’t work as well. I hope the power at McLaren doesn’t get spread too thinly, but I think they needed a change because things have gone awry, particularly with the Honda relationship. So a change will surely kick-start something, but it’s a real loss that they’ve lost the passion that Ron Dennis has for the organisation. RW: You could argue that by bringing Honda back, it eventually played a part in his exit. Is it fair to suggest Ron would still be at the helm had the team been winning races? MP: I don’t think Ron’s departure is necessarily linked to the poor performance of the team. Obviously, it won’t have helped, but it was more about the instrumental decisions on which direction the team was going in. Even on things like driver appointments – he fell out with high-level people at McLaren about which drivers they were going to have. The decision even to bring Honda into the sport a year before they really wanted to get involved, because he is an impatient guy. Ron’s the sort of guy that if he has a genuine belief in something, no one is going to get in the way of that, he will continue until he makes it happen. There’s no surprise that if he wanted to get Honda onboard because he had no real other option, they will bow to his kind of pressure. He’s a very persuasive guy. Honda coming into the sport a year early is the reason that they’re still struggling now – I think there were lots of things about the way Honda approached Formula One that were wrong. It was the right decision undoubtedly to tie yourself in with a manufacturer. McLaren’s an independent team but they now have manufacturer support which is a good place to be. Honda work in a very different way to the way McLaren do, and that relationship between the two is still gelling – and so in the first two years, the issue has seen McLaren trying to get Honda to work at the speed that they work at, and it just hasn’t happened. Ron’s departure is quite complex, and there are a number of reasons behind it. A big part of it is his unique personality, which on some levels has been great for McLaren, but on others has lost him so many friends, and as soon as results start going the wrong way, it becomes very easy to use that as an excuse. In the second part of this interview, Marc gives his views on the F1’s new technical regulations and explains what Liberty Media can learn from Formula E.